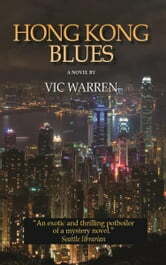 Vic Warren's third book is a Hitchcock-style thriller called Hong Kong Blues, which opens with a fairy-tale wedding ceremony being performed on a luxury yacht in Hong Kong harbor. Megan Deschamps, a Grammy-nominated jazz singer, and Chris Girolami, a Microsoft millionaire, are tying the knot. As the sun deck is cleared for dancing, and the couple steps out for their first dance, a helicopter passes over, and a well-dressed man falls to his death, nearly hitting Megan. Before he dies, he says something to the newlyweds. 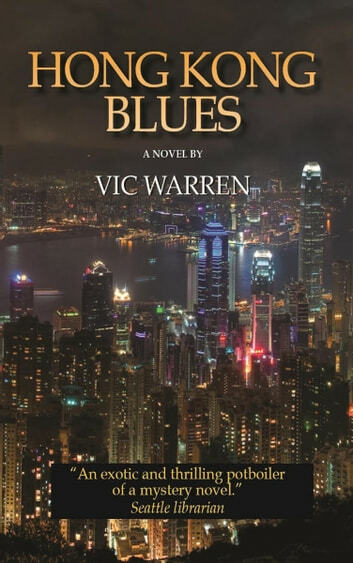 Hong Kong Police Chief Inspector Lawrence Kwong arrives to investigate and realizes that the dead man was Chen Zongze, a leader of the Four Prosperities society, one of Hong Kong’s powerful Triads, the secret societies that parallel the Italian Mafia. Now two important Triads want to know the dying man’s last words and will kill to get them. What Happened to Larry Alan?